It's officially SUMMER! The weather here in Montreal has been consistently 25ºC (or 77ºF) over the past week and my son is already starting to look like a Philippino from playing outside (not that it's a bad thing but he is usually more like Norwegian white). This brings me to one of the most important topic in skincare regime: SUNSCREEN. Being Asian, I'm especially prone to hyper pigmentation and the best way not to have age spots is sunscreen. As a result, I've been religiously applying facial sunscreen (they tend to be milder and won't clog my pores as much as regular sunscreen) since my 20's. 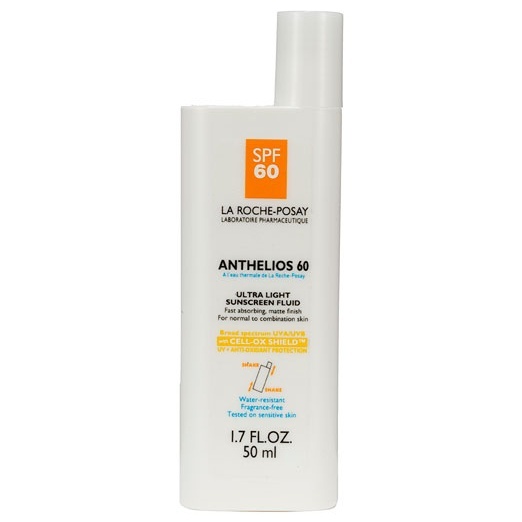 La Roche Posay Anthelios SPF60 - This is what I'm currently using. Ultra light in texture and melts in your skin immediately leaving a matte finish. Simply the best in the business! 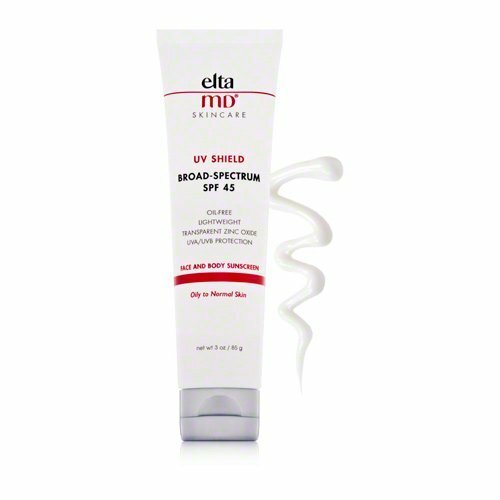 Elta MD UV Shield SPF45 - My best friend introduced me to this brand and she had a tinted version (which I'm not sure if it's still available because it's no longer on their website when I tried to order). It was great since on a daily basis, I didn't have to apply my tinted moisturizer! 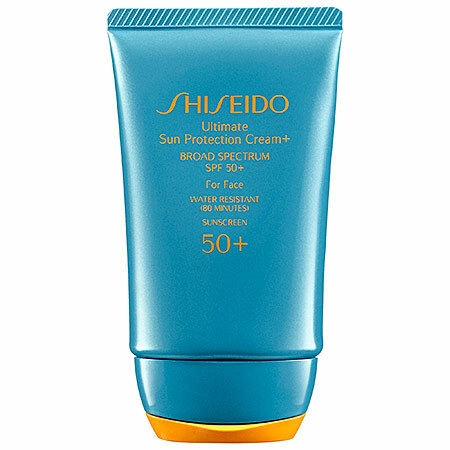 Shiseido Ultimate Sun Protection Cream SPF50 - I bought this once at duty free on a trip back to Asia and fell in love with the texture! Moisturizing but not cakey...especially given the hot & humid weather over there. 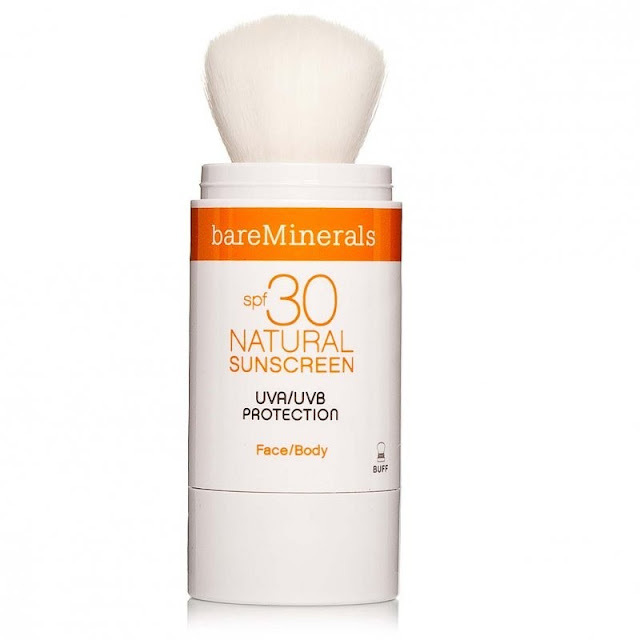 Bare Minerals Natural Sunscreen SPF30 - This mineral sunscreen is great for touch-ups! Comes with a brush for quick sweep during the day (because technically, we should be reapplying every two hours). 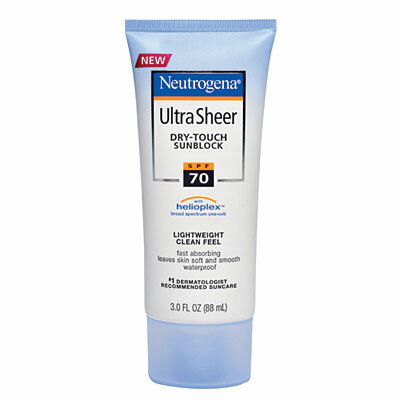 Neutrogena Ultra Sheer SPF70 - Drugstore price, department store product! So cheap (I buy it at Costco in pack of 3), I actually use it on my body. OK, I'm heading out later with the kids so have a great rest of the weekend!